Louisiana’s early French explorers first introduced rice cultivation into Louisiana in 1718. The great development of the state’s rice industry came as the result of the opening up of the broad, flat prairie region in the southwestern (Cajun) part of the state where rice thrives in the water-logged, silt-rich soil, and the development of a system of irrigation that made the use of harvesting machinery similar to that used in the wheat fields of the Northwest possible. Since that time rice production has expanded to other areas of Louisiana, especially the northeastern portion (Monroe area), and 29 Louisiana parishes now claim rice as a top crop. One third of it comes from Jefferson Davis and Acadia parishes with the latter’s city of Crowley claiming to be the capital and, hence, is the home of the International Rice Festival, held every year on the third weekend in October. It is Louisiana’s largest and oldest agricultural festival. Rice varietals are classified as being of the long, medium, or short grain type. Long grain rice, most commonly grown type in Louisiana, is slender and long, medium grain is plump but not round, and short grain is round. Within these varietals, rice is sold in brown, parboiled, and regular-milled white forms. When rice is harvested from the field, machinery is employed to remove stalks and detritus. It is then subjected to milling to remove the husk, which encloses the kernel. 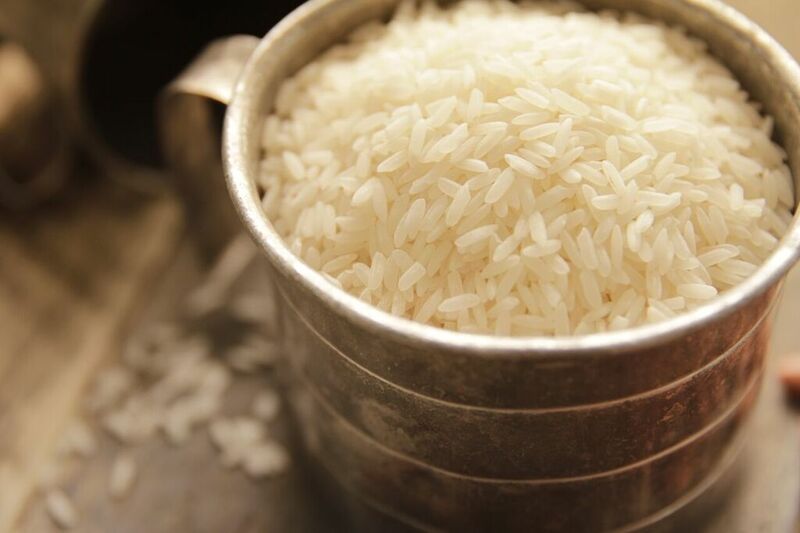 In the case of parboiled rice, a steam pressure process is used for milling. After drying, the parboiled rice is subjected to further processing to remove the hull and it is then polished. Brown rice is processed through a shelling device, which removes the hull. The resulting brown rice retains the brown layer around the kernel. In the case of white rice, the hull and the brown layers are removed and the kernels are polished. To keep up with consumer demand for exotic flavors as well as sustainability, Louisiana rice farmers have become more innovative in their choices of planting rice strains, while others have changed their growing methodology. In 2000, the LSU AgCenter began a project designed to increase rice production in Louisiana by developing a new strain of jasmine rice capable of being cultivated in the state’s hot, wet conditions. With a desirable robust flavor and appealing aromatic qualities, jasmine rice has long been a favorite of rice connoisseurs, but until recently the strain could be grown only in Asia. A new Louisiana variety was created through careful cross-pollination and resulted in a premium-quality, Louisiana-grown product that’s marketed internationally as Jazzmen Rice. It is available in both white and brown varieties. Like Jazzmen, additional special purpose rice strains are generally grown on a limited acreage and, because of their unique cooking characteristics, they should not be comingled with standard long-grain varieties. They include Toro-2, a non-aromatic, long-grain sticky rice; Della, an aromatic, long-grain rice favored for its unique popcorn aroma and taste characteristics; Dellrose, with characteristics similar to Della but with a high grain yield, high milling yield, and greater disease resistance. Other Louisiana rice farmers, such as Kurt Unkel of Cajun Grain in Kinder, started borrowing from organic and biodynamic growing principles. Unkel now grows a highly nutritious brown rice that includes disc-shaped native wild grains once classified by the U.S. government as a “noxious weed.” Cajun Grain has become a favorite amongst Louisiana farmers’ market shoppers and chefs for its high protein content as relative to other rice products. 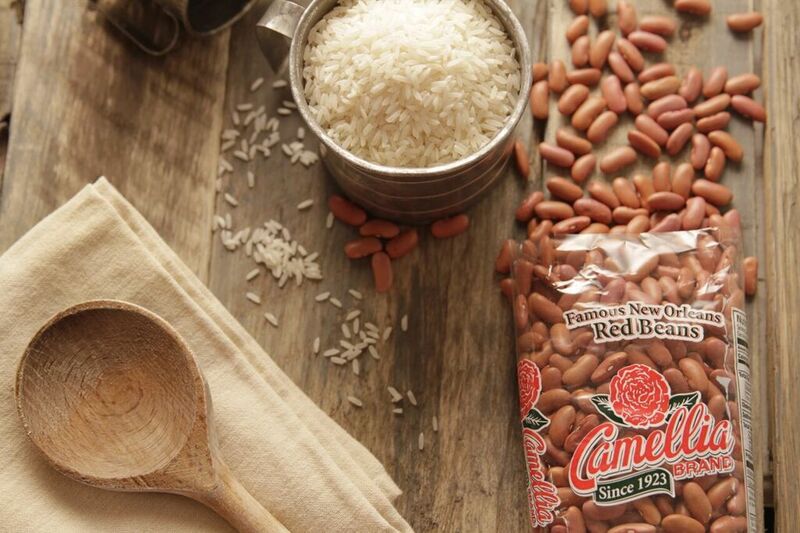 Camellia Beans partners with Cajun Country brand rice for sales and shelf-stocking support in Wal-Mart and Winn Dixie stores throughout the region. 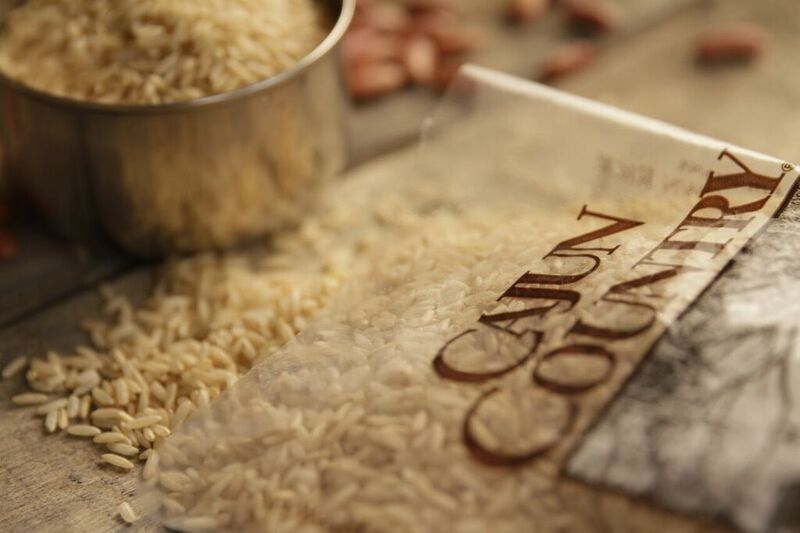 Owned by the Falcon family, Cajun Country rice products include long grain white and brown rice, medium grain white rice, jasmine rice, and popcorn (Della) rice. Cajun Grain is the recommended rice for serving with Camellia products. The Falcon family, in the rice business since 1942, sells additional rice varieties under the brand names Falcon, Toro, Home Country, Laredo, and Jackpot rice. Like their Cajun Country rice, all of their products are true products of Louisiana, grown on Louisiana soil, by Louisiana farmers, and milled and packaged at the historic Falcon Rice Mill in Crowley. Protein is made up of amino acids, 12 of which are manufactured by the human body. Another nine, called essential amino acids, must be obtained from food. A complete protein is a protein that contains all of the essential amino acids. Animal proteins are complete, including red meat, poultry, seafood, eggs, and dairy. Non-animal sources of complete proteins are soybeans, blue green algae, hempseed, buckwheat, and quinoa. Other foods are known as incomplete proteins: beans, whole grains, nuts, seeds, peas, and corn. When substituting incomplete proteins for complete ones, two or more incomplete proteins must be consumed during the course of a day to fulfill the body’s requirements for a complete protein. The proteins may be consumed together in one meal or separately at different meals. 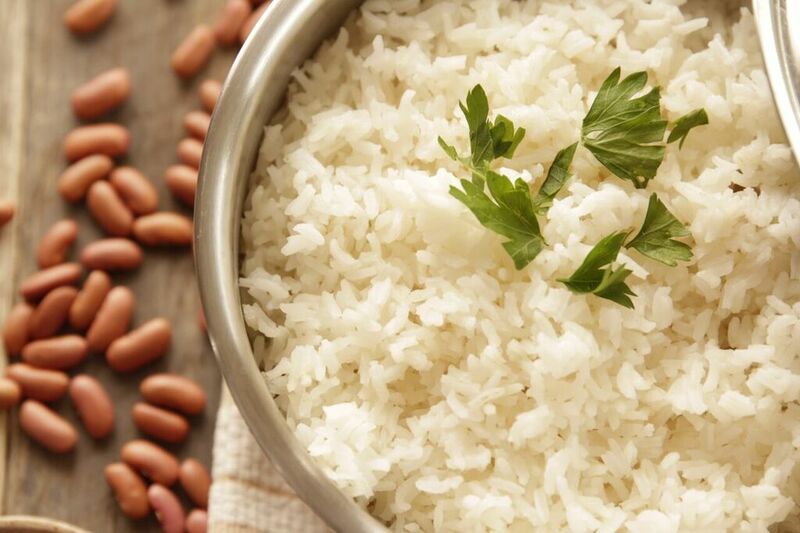 Beans and rice are the most common meat-free complete protein combination. It is a winning mishmash, just as long as the ratio of beans and rice is close. Beans, a low-glycemic-index food that creates a feeling of fullness, are also full of fiber, potassium, foliate, iron, manganese and magnesium, and they are cholesterol- and fat-free. They’re a superfood. This complete protein also needs complete (or near complete) balance to provide the maximum nutrition.